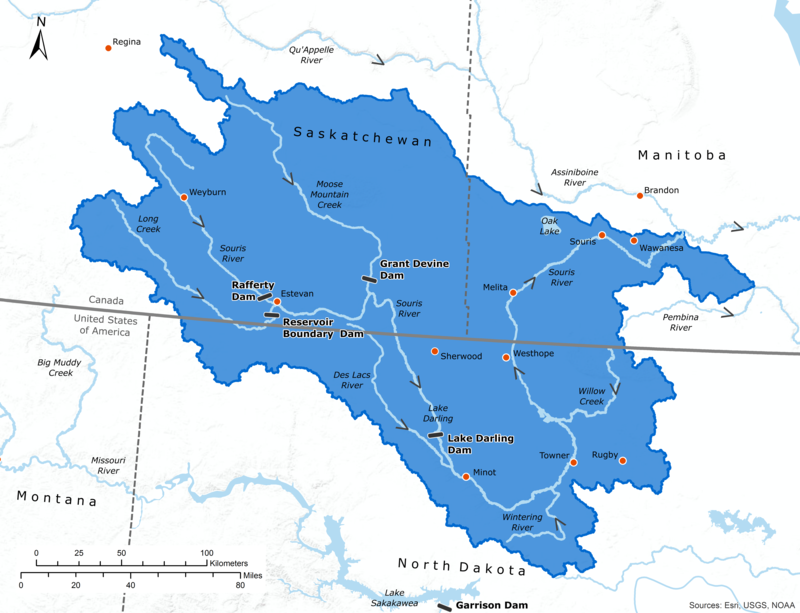 The International Souris River Study Board will report to the International Joint Commission on matters raised in a reference provided by Canadian and US governments on July 5, 2017. The reference is based on the "Plan of Study: For the Review of the Operating Plan Contained in Annex A of the 1989 International Agreement Between the Government of Canada and the Government of the United States of America," which the Commission submitted to governments on June 7, 2013. In doing so, it will review operating rules, improve our understanding of flooding, and recommend potential measures to reduce risks of flooding and other water uses in the Souris River basin. Read the Work Plan. This page is where you will hear about upcoming events, see what’s new, and learn how to share your views. Your participation can make a difference in the recommendations that the study will provide to the International Joint Commission in 2020. Stay connected. The Souris River Study Board reported on its progress in reviewing operating rules and developing options to reduce risks of flooding and other water uses in the Souris River basin. Board members also responded to questions from the public at the February 19 meeting in Brandon, Manitoba. Learn more about the 1989 Agreement for Water Supply and Flood Control in the Souris River basin. Read the IJC Directive to the Study Board, Reference from Governments, and Work Plan of the Study. Have a Question or Comment? Get your questions answered by visiting our Frequently Asked Questions page. Impacted by water levels and flows along the #sourisriver? If so, the Public Advisory Group for the #sourisriverstudy wants to hear from you. Subscribe to receive news and updates on the Souris River Study.